The intersection of Highways 2 and 270 is where you will find Wilburton, Oklahoma. The seat of Latimer County is an ideal hub for those visiting Southeast Oklahoma with lakes, streams and mountains offering some of the best hunting, fishing and sightseeing in the state. Wilburton was originally established as a stop for the Butterfield Overland Mail stagecoach in 1890. The community’s name is said to honor either Will Burton, a contractor who assisted in platting the townsite and helped in building a Choctaw Coal and Railroad Company line from Wister to McAlester or Elisha Wilber, the president of the Lehigh Valley Railroad. After a post office was established in 1891, early growth came through the cattle production and shipping industry. In the early 20th century the economy shifted as coal mining and education became major industries. 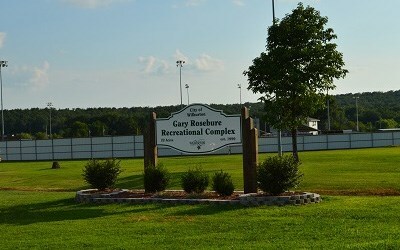 Supporting local businesses helps create a stable economic climate in Wilburton, OK. While featuring a range of industries, the largest employers are Franklin Electric, Inc. and Eastern Oklahoma State College. EOSC is a public community college offering associate degree and certification programs at four locations throughout Kiamichi Country. The school is accredited by The Higher Learning Commission of the North Central Association. Kiamichi Technology Center also provides advanced educational opportunities in the region. Wilburton Public Schools serve students in PreK-12 with three campuses. Latimer County General Hospital is a county owned facility offering a wide range of medical services including diagnostic, dietary, emergency and radiology. Measurable precipitation falls on 84 days each year in the form of 48 inches of rain and five inches of snow in Wilburton. Temperature extremes range from the mid-90s in the summer to around 30 degrees in the winter. Annually the sun shines on 218 days. 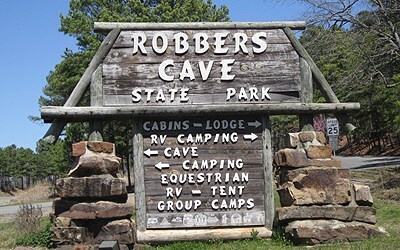 Robbers Cave State Park sprawls 8,246 acres featuring 189 combined lake acres, scenic bluffs, RV/camping sites, cabins, an ATV riding area and more. Talimena State Park, Arrowhead State Park, San Bois Mountains and Wister Lake State Park are additional public lands convenient to Wilburton and Latimer County. Golf is offered at several area courses including Sycamore Springs Golf Course in Wilburton, OK. Deer, turkey and black bear hunting is fruitful in Little Dixie, while the fishing is also excellent. Lake Eufaula is located on the Canadian River and is the largest-capacity lake in the state with 102,000 acres of surface area and 600 miles of shoreline. Sardis Lake is an impoundment of Jackfork Creek featuring 117 miles of shoreline. Educational attractions consist of Lutie Coal Mine Museum, Hickory Creek Farm and Choctaw Nation Capital Museum. The Green Frog Festival, Bikes and Bands on Main Street and Robbers Cave Fall Festival are annual celebrations of local culture and fare.